The Lapa or Black Abalone is a mollusk of the family of abalone and its size makes it very easy to make it a dish of choice that will be accepted on the table of the greatest chefs. 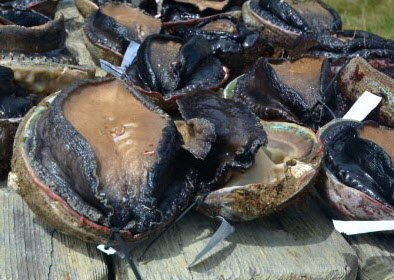 Lapa or black abalone lives in pure waters of the South Pacific without any pollution in temperatures ranging from 10 ° C to 15 ° C. This mollusk that feeds on seaweed is amazing by its size and quality of flesh. Out of the water it is preserved in humid environments and temperatures ranging from 5 ° C to 8 ° C. Its fishing is subjected to quotas and openings for periods of reproduction nevertheless one can have all the year.